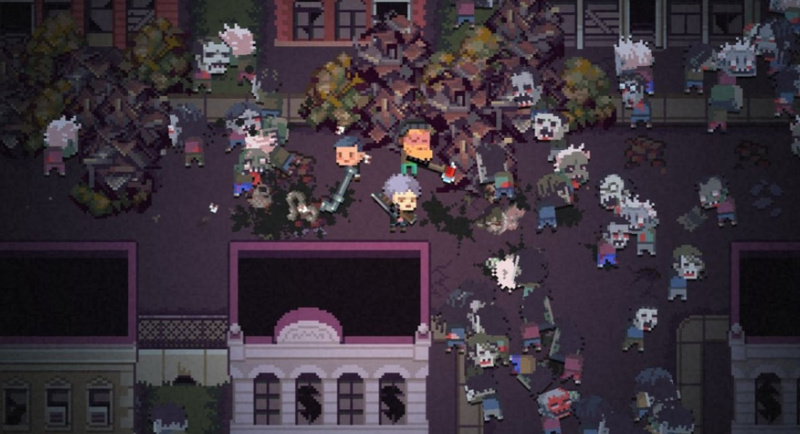 Last month, in the wake of the tragic events that took place in Toronto, UKIYO Publishing decided to pull roguelike zombie game Death Road To Canada from its planned 15th May launch window on the Nintendo Switch eShop. However, the game has now been rescheduled for release a week early on 8th May. As some of you may have found out through the Eshop, we did originally consider launching on the May 15th. After some consideration for the fans we decided to release Death Road to Canada on May 8th instead. "UKIYO Publishing is a small, independent endeavour and changing the name would have resulted in a huge expenditure in resources, not to mention further delays to the game." It's unfortunate that the game was about to release when it was. God bless UKIYO for taking the courageous stance of delaying their game for 2.5 weeks. Of course they did this for moral reasons and not to get 2 more rounds of free publicity. That's why they also took the game down from other platforms, right? Pretty much. It's like when hotels say they won't wash your towels every day so they can help conserve water, or the bottled water company uses thinner plastic so they can help save the planet. Corporate greed masquerading as good will. Also, moving this delayed release up a week just shows how quickly we forget about a tragedy and move on to the next news cycle. It's like UKIYO noticed that people have already forgotten about the Canada attack and now see it as safe to release the game. There was no need to delay the game. If that was the case, many US developed games should delay their titles. Still hyped for this game even though it was delayed. I think it was the right move to delay it though. @Stargazer it's really the same all over the world tbh. Nothing new. People move on with their lives, terrible things happen all over the world, we don't hear about most of them. It's good marketing (in a very morbid way) for them though. Indeed. It would be interesting to know whether this delay hurt or helped them. It's a decent title, and one that I'm sure will benefit from physical controls. I bought it on my iPad, thinking that I'd find nearly endless enjoyment from it since I love Rocketcat, but I got tired of it surprisingly quickly. Why would it need a name change? People are beyond ridiculous nowadays. I bought the Xbox One version while it was available, not sure if I will pick it up again on Switch or not. @Stargazer hmm, I'll keep an eye out for the review, but to be honest, I'd never heard of this game until they delayed it due to what happened in Canada, so, yeah, it's on my radar, because if it, sadly. If they really cared about the whole thing they would have changed the name across the board or not even mentioned the delay and just done it as no one gave two bits about the game anyway. As it is, they've used a tragedy to publicise their game and it'll probably work. Sad times. Nintendolife right behind them, writing articles about it just for the clicks.